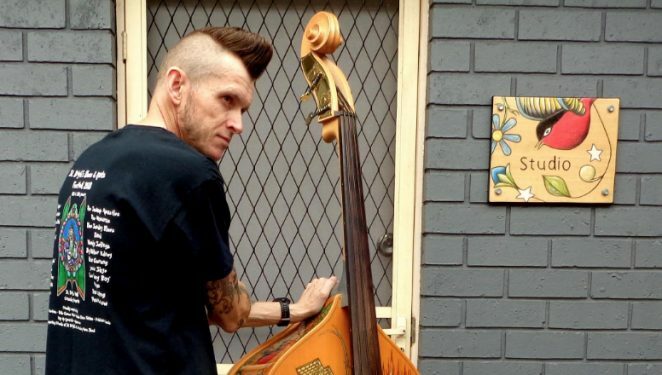 Regular Melbourne Guitar Show exhibitor, Gypsy Spelling of Double Bass Tattoo has won his way to China. Through a competititon run by Warrnambool City Council, City of Melbourne, and Runaway HQ, Gypsy will be travelling to the 2 day NEXUS Summit in Nanjing as part of the Jiangsu-Victoria Startup Summit in China in May. As attendees of the Melbourne Guitar Show will know, Double Bass Tattoo offers the Tattooing of Musical Instruments using Pencil. This is not paint, hence the impact to the instrument is non intrusive, the detail is highly defined and the result is spectacular. We wish Gypsy well in his travels.